According to marketing scholars and professionals everywhere, the Rule of 7 is an important key in running a successful business. What exactly is it and how can Today’s Bride help you achieve maximum exposure? The Rule of 7 states that, in order for a prospective customer to recall your company name and services, they must be exposed to your information at least seven times. That could be through radio or TV commercials, billboards as they drive, seeing your ad in a magazine, noticing your ad on Facebook, driving by the storefront, etc. It’s logical to assume that briefly coming across a company’s name through an online search ONCE won’t make as much of an impact as it would seeing it SEVEN times. Most of us can probably recall certain telephone numbers or a company’s name when we hear their jingle because we’ve been exposed to it so frequently. When that happens, the company has achieved what they set out to with their marketing plan. Here’s how you can achieve yours with the help of Today’s Bride. 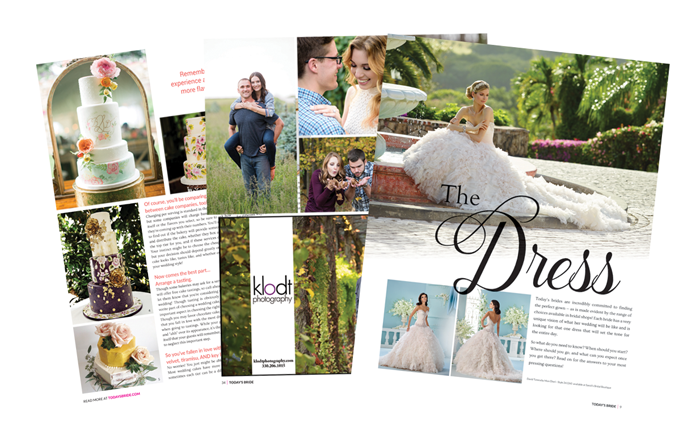 Advertising in print means having a year-long resource that consistently reaches brides. During the wedding planning process, a bride collects between 4-6 issues of her favorite bridal magazine. By perusing the pages of those magazines – and seeing your ad over and over again in each issue – you are already reaching her four times and making your name more memorable and easier to recall. Plus, because a magazine is a tangible resource, it’s passed along from bride to bride rather than just disposed of. Where you might reach Bride A just one time through one issue of a Today’s Bride magazine, you may reach Bride B four different times as all of her recently married friends pass their issues on to her. Your physical ad in a magazine never expires, unlike a radio commercial or an online listing somewhere. It lives on forever and reaches an endless amount of brides. And the best part is that once you’ve submitted your ad, you’re done! You will be bringing in more sales without having to do any extra work on your part. Find out more about the advertisement options in Today’s Bride Magazine and see how many more connections you could be making with a magazine ad. You have until April 21st to get into our next issue! Marketing is all about knowing your audience. The wedding industry mainly consists of millennials, and we all know that millennials rely on technology and the internet for the answers to all their questions – including when it comes to wedding planning. 98% of engaged couples use the internet as a wedding planning resource. If you’re not utilizing the benefits of this global resource, then you are missing nearly every single bride who’s looking for services like yours. It’s not enough to have just a website. You need to have an active social media presence to draw in your clientele. Today’s Bride can help with your online presence by generating a vendor profile on our responsive and highly visited website. With a strong presence in search engine inquiries, we get over 35,000 visitors each month. You can reach this large audience with an online listing that includes your website link, pictures, service information, content, phone number, social media links, and more. Having a strong online presence is just one more place where brides can find you or hear about your company, adding to your Rule of 7 and making it more likely for them to choose you when booking their wedding services. Learn more about how our online vendor profile listings can benefit you or view others’ profiles on TodaysBride.com/local-vendors. Need more marketing advice? We can help! The best form of marketing that a lot of professionals have forgotten in this era of technology is face-to-face interaction. Because a bride may have seen your ad in our magazine and your name listed as an exhibitor at our show, they’ll actively seek you out to inquire about your services. Having an in-person conversation will resonate with them for much longer after your meeting than a generic email would. Make the most of this form of marketing, as it is more likely to seal the deal and make you the sale than any other form of advertisement. With our shows, you’ll reach over 5,000 engaged couples a year who are actively looking for businesses like yours and actually want the information you have to share with them. 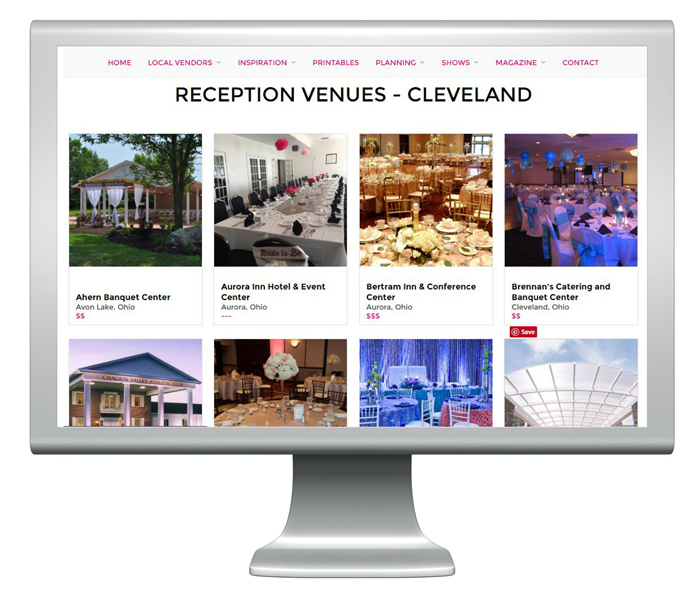 You can reach your audience directly five times a year in Cleveland, Akron, and surrounding areas. With some packages, you’ll even have access to a list of brides who attended with their address and email. That adds one more layer of how you can reach your audience and increase your number of exposure to get to the ideal “7”. Check out our upcoming show dates to reserve your booth! 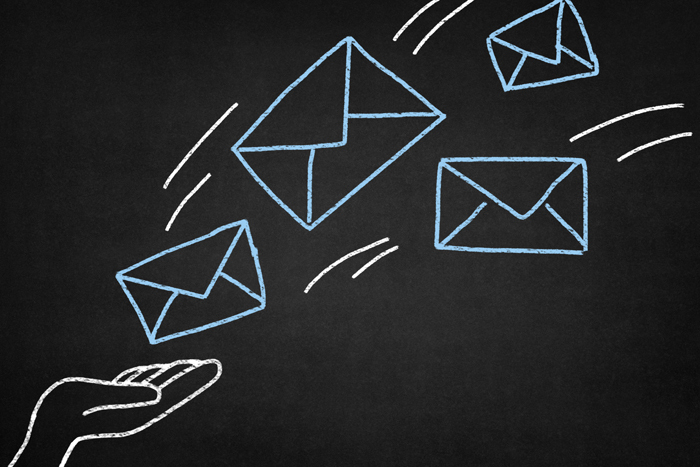 Old-fashioned snail mail is still a great way to connect with your prospects. When you join our Bride’s Welcome Guide, your literature will be sent to every single bride who joins Today’s Bride’s mailing list. That means that even if you never meet them at a show, or they never stop to pick up a magazine, you’ll still be reaching them through your online listing and by mail. With this marketing package enhancement, you’ll reach 2,500 brides directly as they begin their wedding planning process. Or, get into the hands of every single bride who attends a Today’s Bride show by participating in the Pink Stuff-It Bag program. Every bride who registers receives a pink tote bag stuffed with vendor literature, our Lovebook, and other goodies. If a bride doesn’t make it through every aisle or happens to lose your literature, you can be sure that they’ve seen your name at least once – and therefore adding to your Rule of 7 number – by stuffing your pamphlet or postcard into our pink bags. For a successful marketing strategy, your advertisements must be constant and consistent. Appealing to a bride 7 times can reinforce your exposure and increase your number of sales as your company will be more recognizable and present in their minds. Today’s Bride is a massive help when it comes to reaching the millennials within the wedding industry. Request more information to learn about all the ways we can help you connect with more engaged couples in Northeast Ohio.